Skil make a lot of power tools that are useful both in the workshop and around the home, and their new Multi Scraper is one such tool that I am sure will fit the bill nicely. The Skil Multi Scraper 7710 is an effectively percussive power unit that sports a slimline body with soft-grip sections, which fits in the hand well and is also designed to accept scraper and chisel bits. These are inserted in the front end via a toolless CLIC mechanism that allows the fast changing of blades, which are locked in placed by a holding block fitting into the oval slot in the back section. Four blades are supplied: a 60mm (23â„8in) standard blade, a 60mm (23â„8in) spatula, a 15mm (5â„8in) chisel and a 35mm (13â„8in) universal blade, which allow the tool to be used for shaping, scraping and carving jobs. There are three speed options, which give you more control and afford you more sensitivity in use. Now, some time back, Flexcut produced an adaptor to fit into another unit similar to this, and guess what? The SK105 adaptor fits this one as well. It also accepts and holds the larger Flexcut carving blades, thus turning this delightful unit into a more useful and powerful carving tool, with even more flexibility for use by carvers in the workshop as well as around the home. A well constructed unit that is very useful for DIY purposes and in the workshop. It is sturdy enough to take the rough and tumble of daily use and makes light work of the jobs I undertook with it. A simple addition of an adaptor, available from Flexcut stockists, makes the unit even more useful. All in all, extremely user friendly and well worth the money. 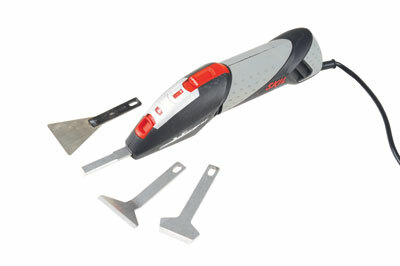 Every Skil tool I have tested recently has performed well and the Multi Scraper 7710 is no exception. In my opinion, it is very handy and versatile in use. 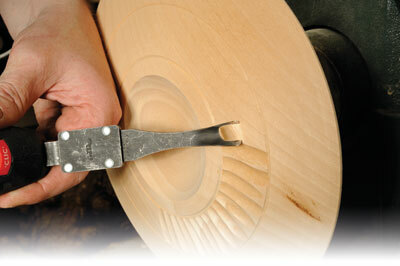 You can use it for a multitude of woodworking applications, and it can also be used around the home. Definitely worth having in your woodworking tool arsenal. Highly recommended.